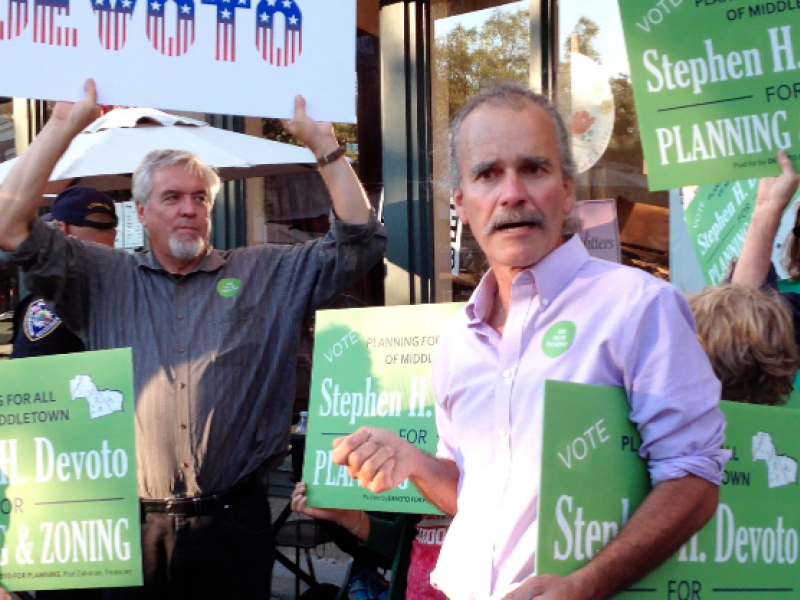 One of the University’s own and Middletown resident Stephen Devoto, Professor of Biology, was re-elected to Middletown’s Planning and Zoning Commission on Tuesday, Nov. 7. This election marks the beginning of Devoto’s second four-year term. He initially ran and was elected to Planning and Zoning in 2013 due to his interest in the environmental impact that Middletown could have. The Middletown Department of Planning, Conservation, and Development provides a description of what is expected of the seven members of the Commission and three alternate members. Devoto’s impetus for running in 2013 was spurred by the Planning and Zoning Commission’s decision to allow for a drive-through in a strip mall to be built across the street from the University. According to Devoto, rumor had it that a Starbucks, a Chipotle, and a bookstore were going to occupy the space on Washington Street between High and Pearl. Both the Middletown community and students at the University were opposed to this development, Devoto said. Despite that, the Commission voted to allow it. During that incident four years ago, Devoto felt that the commission did not listen to Middletown residents and neighbors who spoke out against their decision. As he did in his previous term, Devoto hopes to continue to involve the public in these decisions. Another goal of Devoto’s is to change the zoning code. Zoning codes deal with decisions that determine which parts of town are to be designated for residential and different business and industrial spaces. During the past term he served, Devoto encountered difficulty with zoning innovation. In part, this is because any changes to the code require the eye of a professional who can write and understand legal and technical aspects of zoning and codes. Although Devoto is immersed in the science department at the University, he got involved with the Middletown local government as a resident. In this vein, Devoto is currently working with a group of students on campus in an effort to examine Middletown zoning in the hopes of reducing the environmental impact of buildings and Middletown life as a whole.